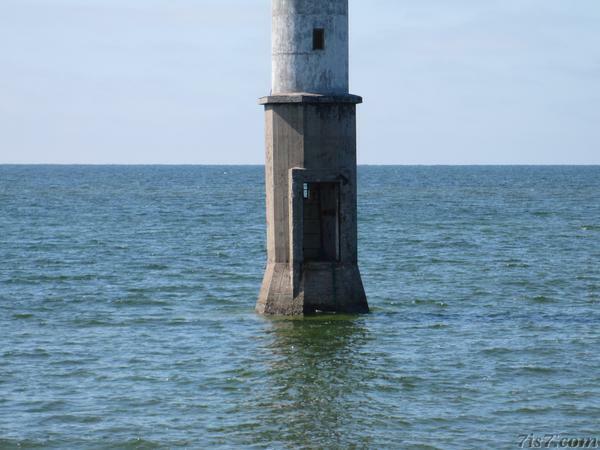 The lighthouse of Kiipsaar, (Kiipsaare Tuletorn in Estonian), is slowly disappearing into the sea. 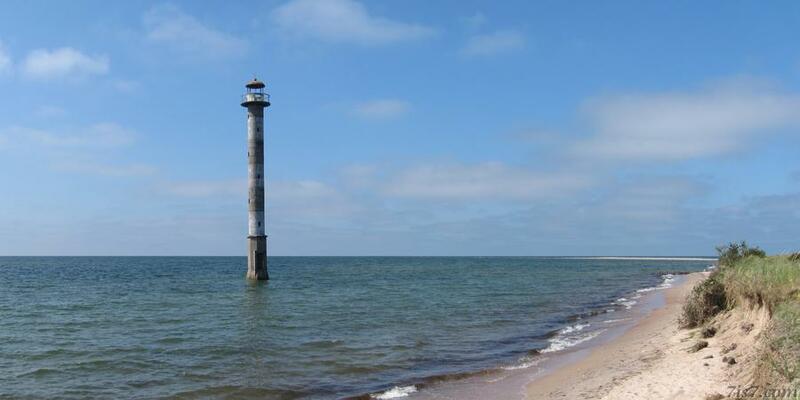 The lighthouse is located on the Harilaid peninsula. We have visited it in 1997, 2004 and in 2011. Between these visits things have changed drastically. 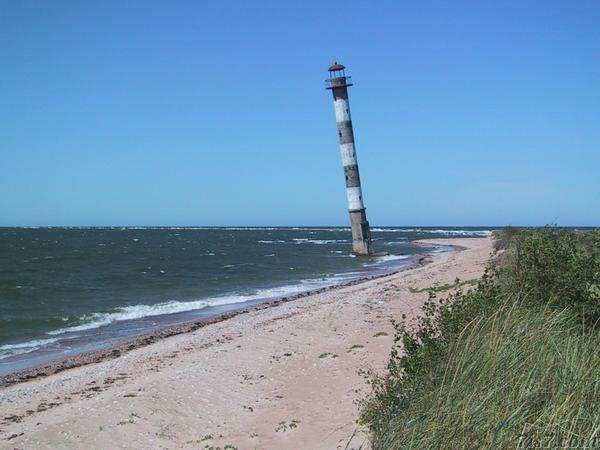 The entire Harilaid peninsula is part of the Vilsandi National Park, a nature reserve on the Estonian island of Saaremaa. The lighthouse is 20 km away from the nearest (tarmac) road. In 1997 the place was totally deserted and you could drive straight to the lighthouse over a badly maintained dirt road. 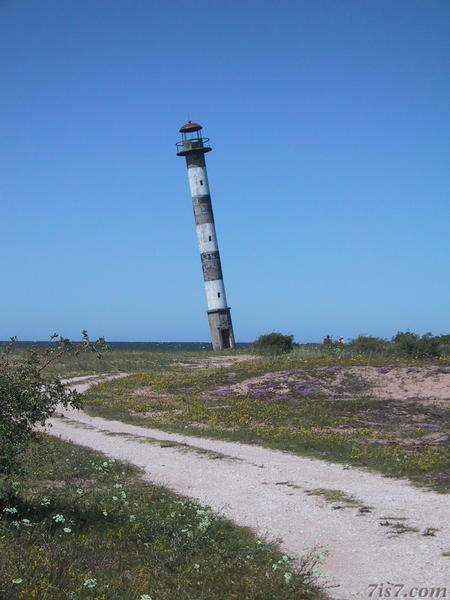 In 2004 you had to park your car at the entrance of the park and walk the remaining 5 km to the lighthouse. Although not overcrowded, we were no longer the only people visiting as in 1997. The park had clearly gained in popularity. In 2011 part of the former road to the lighthouse had been washed away. The major attraction on Harilaid is the lighthouse, the Kiipsaare Tuletorn. It was built in 1933 and is 26 meters high. 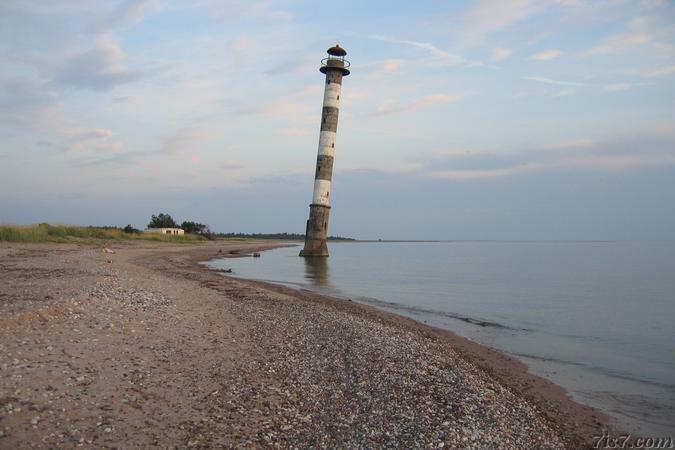 Originally it was placed 25 meters inland from the coastline but with time the coastline has shifted since the lighthouse is now fully in the sea, several decameters from the beach. The first time we visited, in 1997, it was still on the beach. Seen from certain angles, one can see that the lighthouse is still leaning. Such as in the photo below taken from the tip of the peninsula. 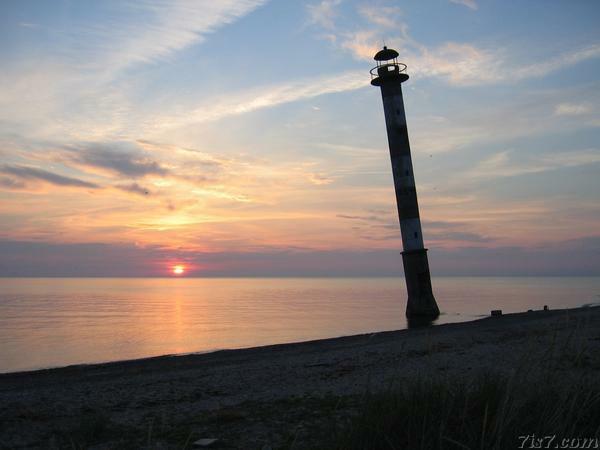 In 2007 we visited the lighthouse at dusk, the sea was calm. 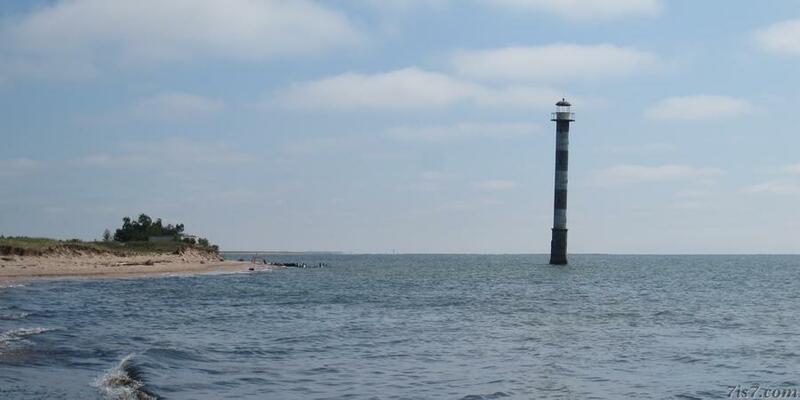 The lighthouse was a bit further in the sea than in 2004, but a lot closer to the beach than in 2011. This gives us the impression that the erosion of the coastline has accelerated in the years after 2007. 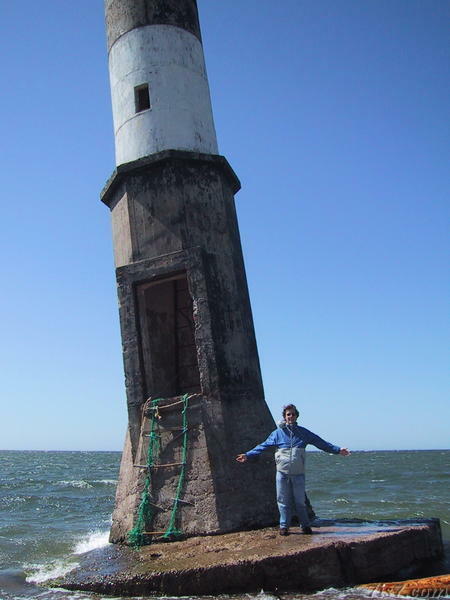 In 2004 the lighthouse was but a few meters in to the sea. It was also leaning much more at that time, even giving the impression that it would one day fall over. Fortunately that didn't happen, instead as all the sand below the base got washed away the lighthouse is now standing straighter, though not quite straight. 2004 - Not only is it leaning, it is actually in the sea! 2004 - All the sand on and around the foundation has gone. My first impression in 1997 was that this was even more amazing than the leaning tower of Pisa! Since there was no attempt whatsoever to save the leaning lighthouse I expected this beautiful sight to disappear one day! In 1997 however it was still on the beach. 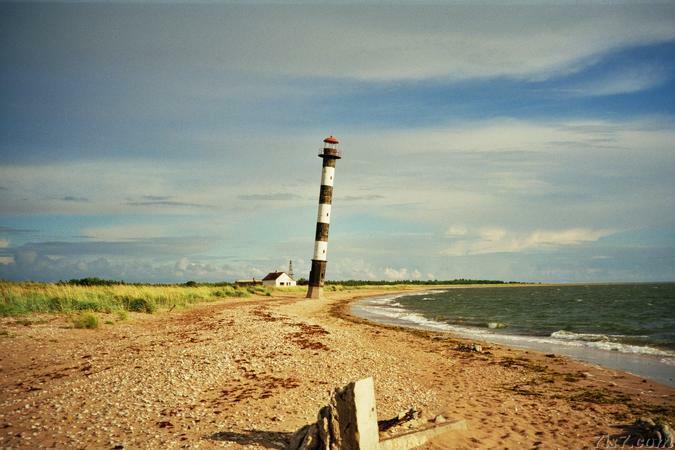 Another photo from 1997, with the lighthouse still on the beach. 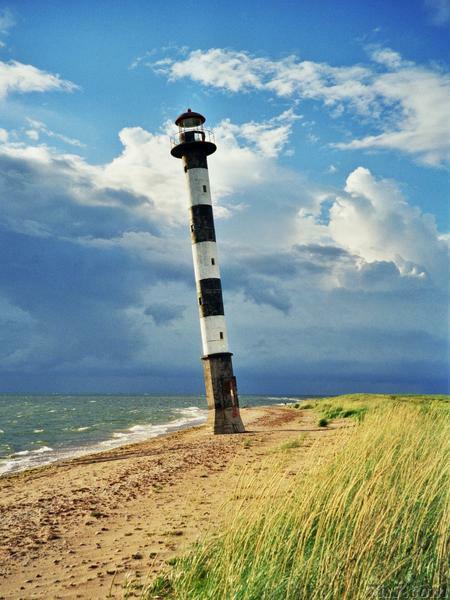 A more detailed analysis of the evolution of Kiipsaar lighthouse is made on the next page. 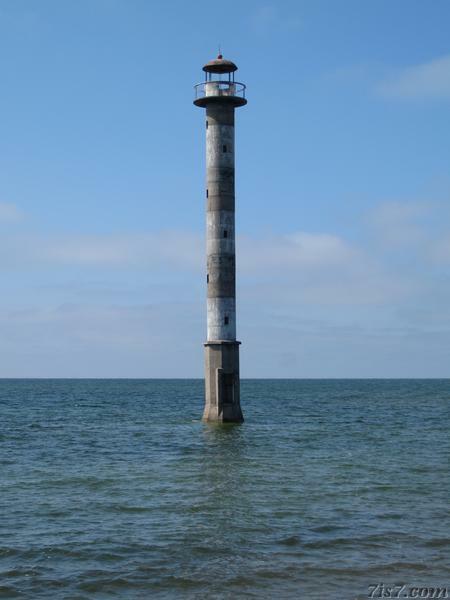 The first image of the lighthouse at the top of this page, is also available as a high resolution background image.